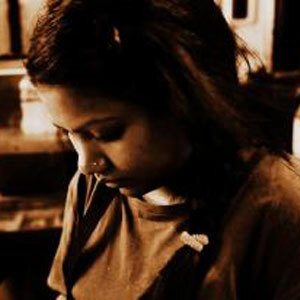 The 60th National Film Awards for the best debut film of a director has been conferred to Odisha-based film director Lipika Singh Darai for Odia film ‘Eka Gachha Eka Manisa Eka Samudra’. 60th National Film Awards for the year 2012 was announced at a joint Press Conference addressed by the Chairpersons of the three juries, Shri Basu Chatterjee for Feature Films, Ms. Aruna Raje for Non-Feature Films and Shri Swapan Mullick for Best Writing on Cinema. The award for the best feature film has been conferred to Paan Singh Tomar (Hindi) produced by UTV Software communications Ltd. and directed by Tigmanshu Dhulia. In the Feature Film category, a total of 38 films from 14 languages have been selected for the 60th National Awards. Chittagong (Hindi) and 101 Chodiyangal (Malayalam) have shared the Indira Gandhi award for the Best Debut Film of a Director. The award for the Best Popular Film for providing wholesome entertainment has been shared by Vicky Donor (Hindi) and Ustad Hotel (Malayalam). The award for the Best Director has been conferred on Shri Shivaji Lotan Patil for the film Dhag (Marathi). The award for the Best Actor has been shared by Shri Irrfaan playing the title role in Paan Singh Tomar and Shri Vikram Gokhale for the film Anumati(Marathi). The award for the Best Actress has been conferred on Ms Usha Jadhav for her performance in Dhag (Marathi). The award for the best Supporting Actor has been conferred on Shri Anu Kapur for the film Vicky Donor.